Ben has over 30 years’ experience in investment banking and over 25 years’ experience as a board director. He started at Kleinwort Benson before joining the investment bank Noble Group, where he was Chief Executive from 1997 to 2007 and Chairman from 2007 until its sale to Banco Espirito Santo in 2010. In the same year, Ben founded Inverleith as an investment firm focused on the consumer sector. He also co-founded Urbicus, a fund management company focused on acquiring property debt, where he was Chairman until 2017. He is a Physics graduate of Edinburgh University and a Fellow of the Royal Society of Edinburgh. Stella joined PWC London, and qualified as a Chartered Accountant, before starting her career in the FMCG industry with Mars. Stella has 25 years’ finance and M&A experience, and was the Finance Director of the UK’s biggest brewer, Scottish & Newcastle UK prior to its acquisition by Heineken in 2008. From 2012 to 2016, she was CFO and an investor in Genius Gluten Free, one of the UK’s most innovative food companies, which grew from a turnover of £6 million to £50 million during her time as CFO. Stella’s M&A experience includes leading Scottish & Newcastle’s acquisition of Bulmers cider, and Genius’ acquisition of Finsbury plc’s ‘free from’ business. Stella is a Non Executive Director of Scottish Ensemble, holds a 1st Class Hons. in Economics and is ACA qualified. Michael Atkinson has been classically trained in business strategy and brand marketing. He started his career on the management trainee scheme at L’Oreal UK Ltd. Following L’Oreal, he extended his career in FMCG with time at Britvic Soft Drinks, before moving into global strategy and marketing at the Bacardi Martini Corporation. Most recently, he spent 4 years as the global head of marketing for Glenmorangie single malt whisky at The Glenmorangie Company, part of the LVMH Group, overseeing the re-positioning of the brand and the international expansion of the business into other foreign markets, transforming the US into the number one market. Michael holds an MA (Hons) in Law, Economics and Resource Management from Cambridge University and a Postgraduate Diploma in Law from Nottingham Law School. Martin joined EY in Edinburgh in 2004 and qualified as a Chartered Certified Accountant, working in both Financial Services audit and Infrastructure advisory teams for over 6 years. Martin subsequently worked as an Associate Investment Manager responsible for private equity Fund, Secondary and Co-Investments across Europe, working for Bank of Scotland, Scottish Widows Investment Partnership and Aberdeen Asset Management’s private equity teams. Martin’s experience includes financial modelling, deal structuring, financial analysis, due diligence and portfolio management. Martin holds a BEng (Hons) in Mechanical Engineering with Management from the University of Edinburgh, and is a Fellow of the Association of Chartered Certified Accountants. As Investor Liaison for Inverleith’s existing portfolio companies, Sharon is responsible for communications and the coordination of fundraising, providing pre-investment presentations and regular investor updates in the form of a semi-annual report and annual presentations. She is also responsible for the day-to-day running of the office and distribution of materials for internal meetings, as well as the recording of investment management meetings. Sharon joined Inverleith in 2016 and has held previous administrative and project management roles within the Retail, Marketing & Design and Property sectors. Sharon is a photography graduate from Stevenson College. Sarah is the Executive Assistant to the Managing Partner, as well as supporting Inverleith with the day-to-day financial administration and other related administrative matters. Sarah joined Inverleith in 2018 having spent 24 years working within corporate, administration, risk and investment divisions in the Financial Services sector in Edinburgh, most recently as the EA to the CIO of Aberdeen Asset Management. Mr Dunsmore has extensive experience in the acquisition, management, development and sale of consumer brand businesses. Having started his career as a drinks analyst in 1980, Mr Dunsmore joined Scottish & Newcastle as MD of Western Europe in 1996. In 2007, Mr Dunsmore became Chief Executive of the company, and almost immediately led the bid defence against Heineken and Carlsberg, increasing value to shareholders by £800 million to over £10 billion during a 16% decline of the stock market as a whole. After the takeover of Scottish & Newcastle, Mr Dunsmore joined C&C Group, an Irish quoted company, which produced among other drinks, Magners Cider. He brought together a management team that re-launched the brand’s consumer proposition and packaging, sold the spirits division, and bought the Tennants and Gaymers business. Mr Dunsmore and the team drove an increase in share price of more than 430%, with a total of £1 billion of shareholder value created. In 2012, Mr Dunsmore co-founded Hothouse Brands, alongside Mr Thomson. He has also developed a family brewing business, The Edinburgh Beer Factory, which produces Paolozzi Beer. Mr Bedingham spent twenty years as the Regional Managing Director of Moet Hennessy Asia-Pacific, LVMH, spearheading the Asia-Pacific growth of Moet Hennessy’s portfolio of luxury wines and spirits including Veuve Clicquot, Moet et Chandon, Hennessy, Cloudy Bay, Dom Perignon, Krug and Glenmorangie, turning the region into a major contributor to the Moet Hennessy Group’s turnover and profit. During this time, he also spent seven years as a Non-Executive Director of the DFS Group, a Hong Kong based travel retailer of luxury products with a network of duty-free stores in over 17 major airports. Mr Bedingham is currently the President and CEO of Singapore Myanmar Investco (SMI), a company listed on the Singapore Stock Exchange, which invests and manages businesses in Myanmar. From 1997 to 2002, Mr Bedingham was a Director Jardine Pacific, a subsidiary of Jardine Matheson, which represents a significant number of the Group’s non-listed interests in Asia, including in engineering and construction, transport services, restaurants and IT services. Mr Bedingham is a graduate of the University of Oxford. Mr Knowles is the Chairman and co-founder of Jones Knowles Ritchie (JKR), a global brand design agency founded in 1990 with Ian Ritchie and Joe Jones. The company is now over 25 years old and works with major consumer brand clients including AB InBev, Beam Suntory, Mars Inc, Pepsico and Unilever. The company has offices in London, New York, Singapore and Shanghai and is regarded as one of the leading branding agencies. Prior to founding JKR, Mr Knowles started his career marketing Heineken and Stella Artois at Whitbread, before specialising in design. Mr Knowles holds a BSc from the University of Nottingham. Mr Watkins is the Managing Partner at White Cloud Capital LLP, a private family investment company with a presence in London and Singapore which invests strategic growth capital and venture capital in fast growing companies in selected industries primarily in Europe and Asia Pacific. Mr Watkins currently holds a number of Non-Executive Director positions, including at FDC Dental Group, Doctors Beck & Stone, Careers Australia Group, The Fertility Partnership and Atlantis Healthcare Group. Mr Watkins started his career in 1989 at Credit Suisse First Boston, moving after ten years to become a Managing Director of Lehman Brothers where he was until 2008. Mr Watkins attended the University of St Andrews where he graduated with a First Class Honours in German and History and a postgraduate degree from Oxford University. Inverleith LLP invests into consumer brand businesses that operate within the high growth consumer categories of health & wellness, lifestyle and heritage brands, in companies headquartered in the UK and Europe. Inverleith acquires majority or strategic minority stakes in businesses through its Fund. The Fund focuses on businesses with revenues of between £5m – £30m. Inverleith targets businesses which have a product USP or strong defendable market position, have the opportunity to become an internationally scalable brand and where the founders / management are receptive to a collaborative investment approach with Inverleith. At Inverleith, we believe a number of macro trends are creating a highly attractive and sustainable investment environment within our target market. Especially amongst millennials, there is an increasing awareness of the importance of mental and physical wellbeing. With worldwide obesity having more than doubled since 1980, an increasingly ageing population and a new generation born into a health conscious way of life, the health and wellness industry will continue to grow over the next decade. E-commerce is predicted to experience double-digit growth over the next 5 years. We continue to see brands emerging that reject the traditional model of retail and wholesale in favour of an exclusive online model of sales and marketing. The rise of direct to consumer through e-commerce has reduced barriers to success for small companies and has enabled brands to capture more of the value chain or provide a more competitive price positioning. Consumers, especially millennials, are rejecting mainstream brands in favour of those which they perceive to have provenance, heritage and authenticity. Craft and artisanal brands have captured the consumer imagination, with consumers trusting and prepared to pay more for such brands. The craft movement has been seen across a wide variety of categories from coffee to spirits to chocolate. We’re seeing large corporations spending over 15% of turnover on investment into marketing, but as little as 2 – 3% on research and development. Small brands can innovate faster, free from the constraints of corporate processes, are prepared to take greater risks and experiment with multiple ideas and concepts. Large corporations have moved to let these dynamic brands lead the innovation front and look to integrate that innovation once proven in the market through acquisition. Inverleith’s point of difference is the ability to add both professional investment and strong operational expertise into businesses. With many of the team having worked operationally in consumer brand companies across both the FMCG and premium / luxury brand sectors, we know (and have lived!) the challenges faced by companies and brands, understand the strategic levers to drive growth and have the experience and global networks to support businesses in the areas where they need to focus. Inverleith works closely and collaboratively with companies to build a joint 3 – 5 year business plan and to scale the company for successful exit. We’re hands-on in our approach, taking an active involvement in our investment companies, not only through Board positions, but also by working closely with the executive team senior management to drive initiatives and projects forward where support is required. Awarded the 2017 ‘Independent Bottler of the Year’ at the renowned Independent Bottlers’ Challenge Competition (IBC) and named 2018 ‘Best in Show’ with 7 double-gold medals at the prestigious San Francisco World Spirits Competition (SFWSC), The Scotch Malt Whisky Society is a club unlike any other. 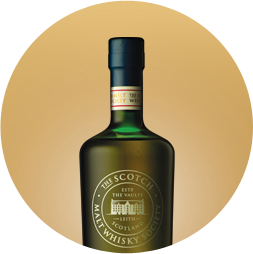 SMWS is a place to connect with other like minded whisky lovers and to discover and own rare single cask whiskies (and select other spirits) from the world’s widest collection of single cask whiskies. Good Hemp is a plant based food and drink brand which manufactures products from hemp seed. Founded by Henry Braham and Glynis Murray at their Devon farm, the couple have been pioneers in developing food ingredients from hemp and launched their first ‘Good oil’ into UK retail in 2004. The company now produces a range of hemp based products including an allergen free milk alternative, natural protein supplements, protein fours and dietary fibres. Hemp has both strong nutritional and environmental properties, making it the perfect plant based food and drink source. Planet Organic has been at the forefront of the natural and organic movement in the UK since its foundation in 1995. Its mission is to bring the very latest in natural wellbeing to a new generation of customers who care about what they consume. Planet Organic has become an iconic brand, trusted by its customers who share its values and passion for healthy living. 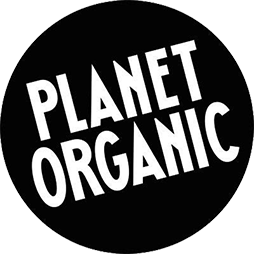 Through an expanded retail programme, Planet Organic is continuing to lead as a community retail brand, supplying cutting edge natural and organic products across food, drink, cosmetic and beauty products, as well as providing delicious and organic food-to-go at its London stores. This chocolate company know how to do things differently. 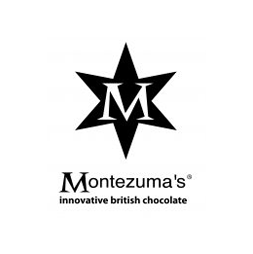 Not only do Montezuma’s source fairly-traded organic chocolate, their packaging has also won awards because it’s recyclable, compostable and biodegradable. Montezuma’s was born out of love, when lawyers Helen and Simon met. After travelling to South America and camping on a cocoa plantation they return to England inspired. A year later they started Montezuma’s chocolate shop in Brighton, hand making all the bars themselves. Only the finest chocolate is used in their bars, and the cocoa is sourced from plantations that protect the environment and support local livelihoods. Montezuma’s is a value based company, with people and planet at its core. They support Chichester-based charity Children on the Edge, which helps vulnerable children around the world. Inverleith LLP is authorised and regulated by the Financial Conduct Authority.